Dr. Alvin Onaka (L) and Stanley Ann Dunham (R) were both involved with USAID projects in Indonesia. Hawaii State Registrar Alvin Onaka and Stanley Ann Dunham both worked on projects for the United States Agency for International Development (USAID), an agency which reports to the Department of State. Dunham was a contractor. Dr. Onaka was an agency employee. USAID employees include civil service staff in Washington and Foreign Service Officers, a title shared with State Department diplomats. USAID also hires contract employees, as was the case with Dunham. Dr. Onaka travelled to over 60 countries while working on programs for USAID according to a 2011 profile of Hawaii’s registrar of vital statistics. Dr. Onaka worked for USAID’s Demographic and Economic Analysis Office of Population, according to the May 1977 East-West Center Asian and Pacific Census Newsletter. Dr. Onaka was also a project manager for the International Program of Laboratories for Population Statistics (POPLAB), a joint project initiated in 1969 by USAID and the Carolina Population Center at the University of North Carolina Chapel Hill. Between 1965 and 1969 the Ford Foundation provided $1.5 million in funding to establish the Carolina Population Center at UNC Chapel Hill, with additional $267,984 coming from USAID. The Carolina Population Center became associated with the Rockefeller Foundation in 1966. According to a 1977 POPLAB project proposal revision drafted by Dr. Onaka, the program was designed to set up population statistics monitoring programs in developing countries in support of “socio-economic planning” and for “formulating realistic population policies”. The previous version of the project draft which Dr. Onaka revised in 1977 proposed operations in Columbia, the Philippines, Morocco and Kenya, with planned expansion through “the establishment and funding of population laboratories in strategic countries in various world regions” (emphasis added). 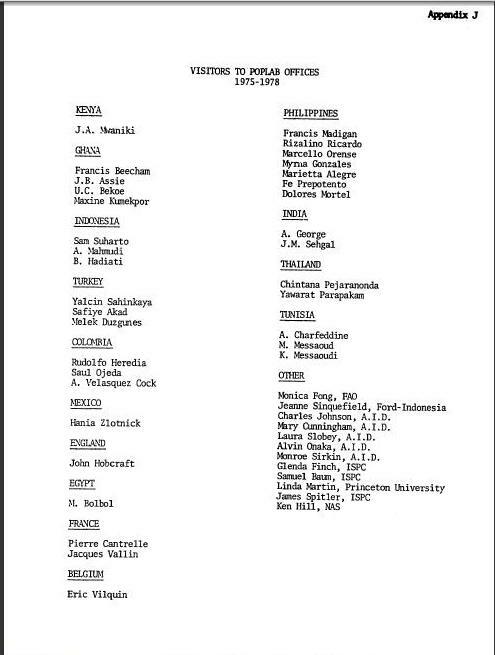 Dr. Onaka may have been involved with POPLAB as early as 1976, when the Sixth International POPLAB Conference was held at the Hague, Netherlands. Dr. Onaka highlighted the conference during a PowerPoint presentation at the NAPHSIS International Vital Statistics Technical Interchange on June 8, 2011. 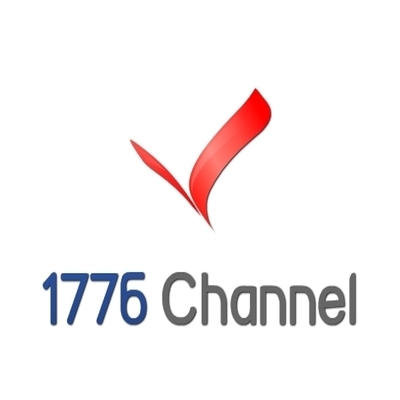 1776 Channel was not able to review the published proceedings of the POPLAB Hague conference. Vital statistics officials from multiple nations participated in the POPLAB Conference at the Hague. D.J. Coward, Registrar General of Kenya and Abdul Latif, Census Commissioner and Registrar General of Pakistan were among the foreign officials in attendance. 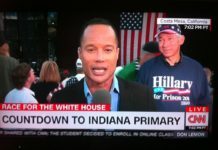 The list of POPLAB conference participants is an important detail because it establishes the likelihood that Dr. Onaka has connections with officials in other nations who handle birth records. More specifically: nations relevant to Barack Obama’s life story. 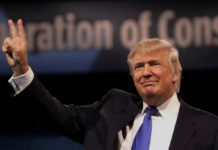 POPLAB was involved in Indonesia, USAID documents reveal. POPLAB staff visited the USAID mission in Indonesia for 10 days in February of 1977, and again in the fall of 1977, according to the POPLAB final report to USAID. In addition, “TDY visits of POPLAB staff to Indonesia” and a trip by UNC/Chapel Hill POPLAB staff to Indonesia in April 1978 were planned, according to the report. In March 1977, only weeks after POPLAB staff visited the USAID mission in Indonesia, Stanley Ann Dunham Soetoro was teaching a course in Jakarta at the Faculty of Economics of the University of Indonesia (FEUI) for staff members of BAPPENAS (Badan Perencanaan Pembangunan Nasional)—the Indonesian National Development Planning Agency. It is unknown if Dr. Onaka was among the POPLAB staff members that traveled to the USAID mission in Indonesia only weeks before Stanley Ann Dunham was reportedly teaching in Jakarta. Dunham was a rural industries consultant for the Indonesian Ministry of Industry’s Provincial Development Program (PDP I), between October 1978 and December 1980, with funding provided by USAID and implementation from Development Alternatives Inc. (DAI). Between January of 1988 and 1995, the year she died, Stanley Ann Dunham was a paid USAID and World Bank consultant on a project to convince Bank Rakyat (People’s Bank) of Indonesia to expand a program of small loans to farmers into a wider microloans program. Ann Dunham had extensive contact with Indonesia’s Central Bureau of Statistics during the completion of her PhD thesis. POPLAB also made contact with the Central Bureau of Statistics. The POPLAB program ceased operations in March 1979. Dr. Alvin Onaka was born and raised in Honolulu, where he graduated in 1965 from the prestigious Iolani School, a private preparatory academy considered the rival of Panahou School, President Obama’s alma mater. Dr. Onaka was a Population Council Fellow in Demography at the University of Massachusetts Amherst. He received his Ph.D. in demography from UMass Amherst in 1975, while working for USAID in Washington D.C.
Dr. Onaka also was employed by the U.S. National Academy of Sciences and was assigned to the Radiation Effects Research Foundation in Hiroshima, Japan. The program’s mission was to assess the long-term effects of radiation from the World War II nuclear attacks on Japan. The program was controversial in Japan. It did not provide medical treatment for the victims of the attacks but instead gathered long-range casualty information likely of interest to the Pentagon. After completing work on the USAID POPLAB projects, Dr. Onaka coauthored two academic papers which were published in a controversial eugenics journal. 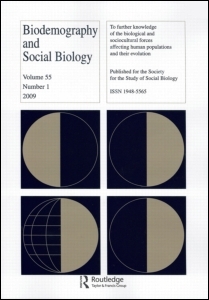 The papers appeared in the official journal of the Society for Biodemography and Social Biology. The group was formerly known as the American Eugenics Society. 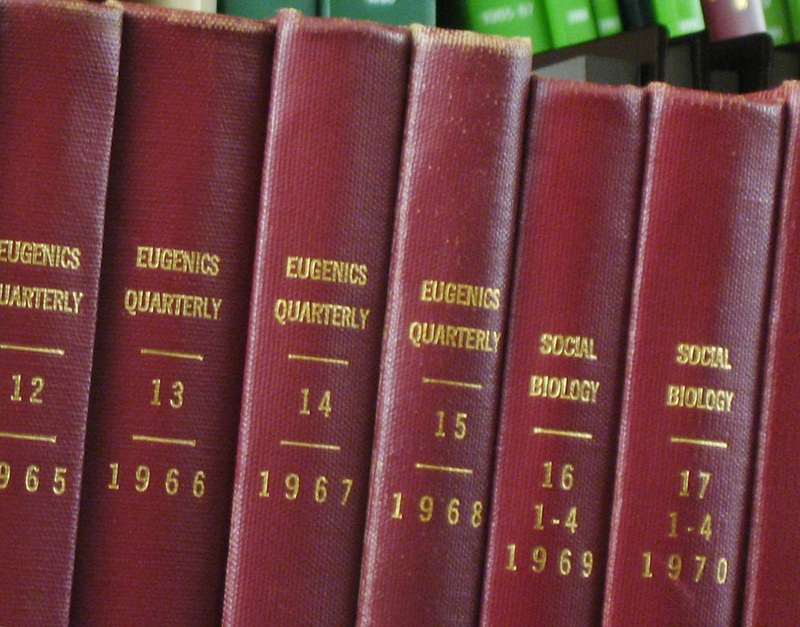 The society’s official journal is called “Biodemography and Social Biology.’ The journal was previously known as “Eugenics Quarterly” from 1954 – 1968 and “Social Biology” from 1969 – 2007. Dr. Onaka’s first paper in the journal, published in 1997, examined death rate differences in Hawaii based on race. The second paper, published in 2001 explored the correlation between low birth weight and socioeconomic status in Hawaii. J.P. Morgan and Margaret Sanger, the founder of Planned Parenthood, were among the earliest members of the American Eugenics Society.